Pick-up truck lovers everywhere are getting excited for the upcoming release of the 2019 GMC Sierra. Said to be even better than its predecessor, the 2017 model. The 2019 GMC Sierra is a pick-up truck you will have to see to believe. There are an impressive number of features as standard already on the 2017 model, such as capless fuel fill and aero shutters and the 2019 model is likely to include even more features as standard, like keyless opening and a push-button start. The Sierra has always been a top quality truck with impressive performance. The 2019 model is bound to be an excellent option for anyone in the market for a new truck that’s interested in high performance that’s affordable. The 2019 GMC Sierra will be a full-sized pick-up with a few different cab configuration options. Expect to be able to choose from crew, double or single cabs, and short or long beds. The exterior design is expected to be updated in line with GMC’s other new offerings, using aluminum and mixed materials to provide a lower curb weight and improve overall performance. The truck bed will likely remain steel. The addition of LED and HID headlights will give it a sleeker look. The 2019 Sierra will be based on the new T1 architecture. One other likely change to the exterior of the 2019 model is the grille, with General Motors expected to freshen the grille design up a bit. The interior of the 2019 Sierra is expected to be similar to the 2017 model visually, with plenty of space and easy to reach switches, solid infotainment system and plenty of USB ports. Standard accessories will include wood and aluminum trims, dual-zone automatic climate control and leather upholstery. The cab of the GMC Sierra 2019 will be impressively kitted out with a top of the range infotainment system with a four inch color display. The Denali will have IntelliLink, with the accompanying voice recognition, Bluetooth connectivity and navigation. The 1500 Sierra will have Wi-Fi and LTE connectivity, enabling drivers to link up their smartphones. We expect that the engine will repeat 2017’s specifications, where the standard model comes with a 4.3-liter V6 that packs 285 hp plus 305 pound-feet of torque. There is also the optional 5.3-liter V8 with 355 hp plus 383 lb-ft of torque. The 2019 GMC Sierra will be a smooth ride, in line with earlier models. The 2017 Denali was a particularly impressive performer, with an exceptional powertrain and eight-speed transmission. The 2019 model could see a ten-speed transmission, kicking things up a notch. Some design changes should lead to an improvement in fuel economy. Also, it is impressive considering that the 2017 model already delivered decent fuel economy. Yet to be confirmed, but it is expected that the 2019 GMC Sierra will go on sale in the United States in either late 2018, or very early 2019. 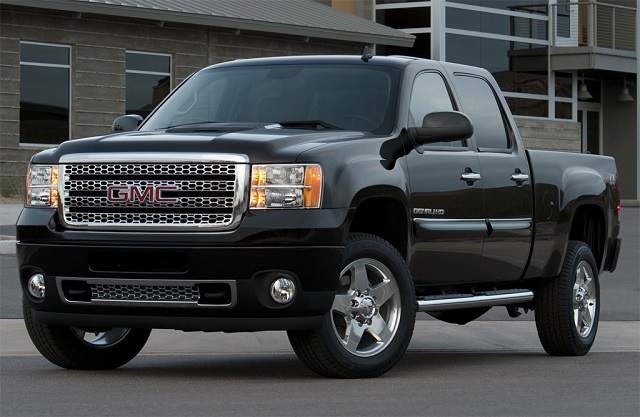 In conclusion, the 2017 GMC Sierra starts at just over $29,000 and is over $67,000 for the top range model. Finally, we expect the 2019 version to be very similar in terms of pricing.